December 9th: SM100 - The Lightning that Blocks Wind! Its Name is Zeraora!! 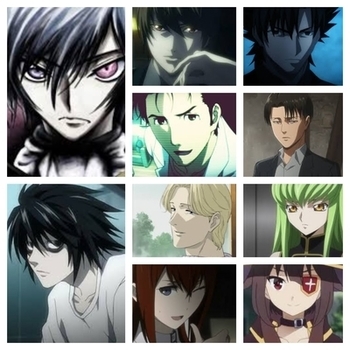 Discussion in 'Animé Spoilers' started by Dephender, Nov 7, 2018. 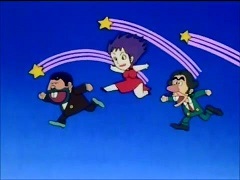 By pure chance, Satoshi and Pikachu end up running into Kapu-Kokeko. They challenge it to a battle, but immediately afterwards, they find themselves in an unknown location. There, they meet a young man and the "Thunderclap Pokémon" Zeraora. Big news for Pocket Monsters Sun & Moon! Incredibly enough, the mythical Pokémon Zeraora is going to appear! Zeraora uses super powerful electric moves; What kind of prowess is it going to demonstrate? What?! 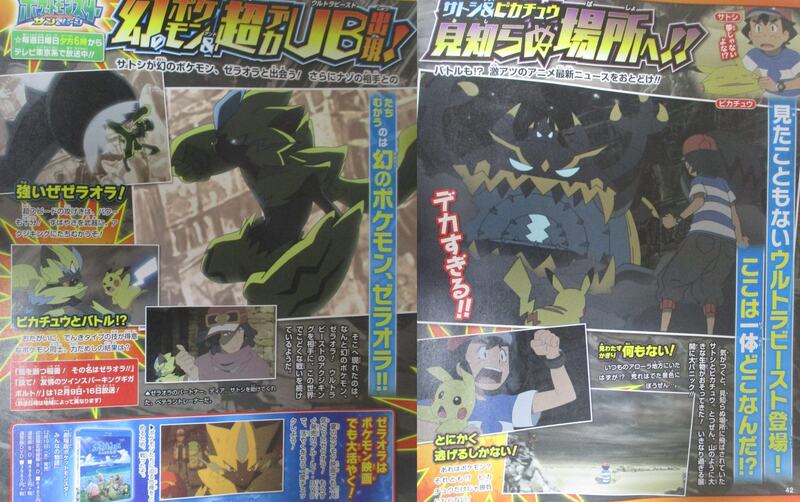 Zeraora and Pikachu will have a fully powered battle?! Which of them will win? And believe it or not, we'll also give out Zeraora merchandise for 4 weeks straight! Details will be announced during the episodes! Zeraora will be appearing on December 9th and December 16th! A Mythical Pokémon & A Super Gigantic UB Appear! Satoshi & Pikachu Go to an Unknown Place!! Satoshi meets the mythical Pokémon Zeraora! And he battles against a mysterious opponent, too?! 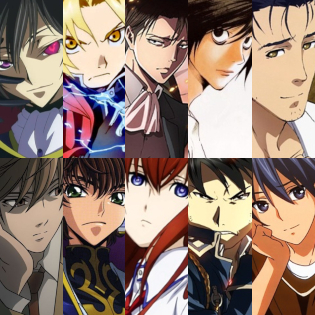 We bring you intense anime news!! A never before seen Ultra Beast appears as well! Just where is this place?! When Satoshi and Pikachu recovered consciousness, they found that they had been sent to an unknown place. They were then suddenly attacked by a creature as big as a mountain! These overly sudden developments caused them to panic like crazy!! There's nothing at all here as far as the eye can see! Either way, we have to escape! Is that a Pokémon? Or is it something else?! I have no chance against it with just Pikachu! The Mythical Pokémon Zeraora Stands Up Against It!! What shows up next is, believe it or not, the mythical Pokémon Zeraora! It appears it carries on a solitary fight against the Ultra Beast Akuziking here in this world. Zeraora's partner Dia is a veteran Trainer that saved Satoshi. Its super fast attacks are plenty powerful too! It stands up against Akuziking using its speed as a weapon! Both Pokémon specialize in Electric type moves. What will be the outcome of their test of each others' strength? "The Lightning that Blocks Winsd! Its Name is Zeraora!!" and "Fire it Off! The Twin Sparking Gigavolt of Friendship!!" air December 9th and 16th! Zeraora plays a major role in the Pokémon movie as well! Zeraora was incredibly popular in the Pokémon movie from this summer as well! It will soon be out on Bluray and DVD, so check out what it did in the movie one more time! Zeraora fought to stop the disaster about to befall the Pokémon. Fight the Super Gigantic Ultra Beast Akuziking!! 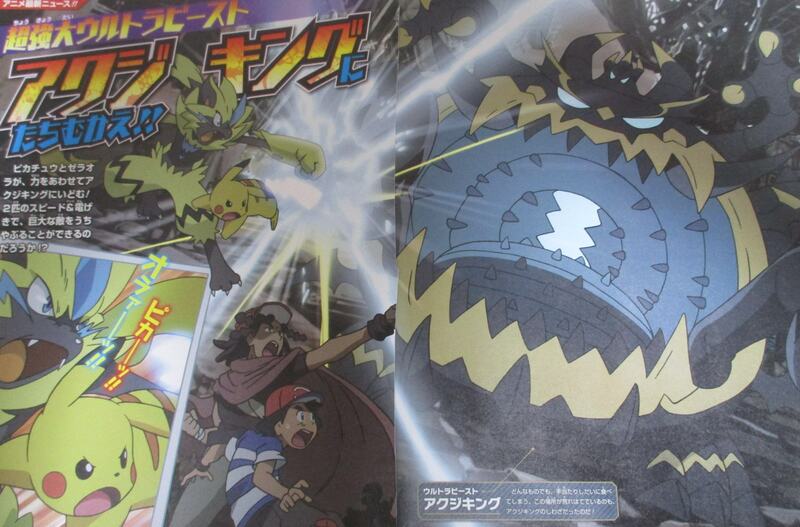 Pikachu and Zeraora team up and fight against Akuziking! Will the duo be able to defeat this giant enemy with their speed and electric shocks?! It indiscriminately eats anything and everything! It's the reason this place is so barren! Henry's Journey and TheWanderingMist like this. Another Mythical in the main SM anime? We've got another one since Marshadow's cameo appearance eariler in SM. Would be great if Tapu Koko had a battle with Zeraora. "The Dragon that is immune to Dragon and the Fairy that is weak to Fairy." santiagus You whanna know. ¿WHY? "This guy is going to beat Ash at the Pokémon league"
Mr.Munchlax, Evanibble, Darkrai 888 and 7 others like this. I don't really know what to expect with that summary. Seems all over the place tbh. Dream crusher is here folks!! Darkrai 888, Blaze Master X, Henry's Journey and 2 others like this. Zeraora in the main anime!! Probably team Skull should go for it, otherwise introducing them was a waste if they were meant for nothing!! Lol what's Team Skull needed for in this case, and those losers getting a Zeraora? The summary anyway seems to confirm that this Zeraora belongs to a trainer, who I'm predicting will be the league dream crusher (we even saw Pikachu vs Zeraora in the opening, so I think whoever this character is, he and Zeraora will be recurring). Zeraoro appearing in the main anime?!?!?! Never saw it coming after it appeared in M21 already. Hmm, a Pikachu/Tapu Koko rematch finally after about an 81 episode gap, and this Zeraora seems like having a trainer too. Have to say that from the info so far the episode seems to be really intriguing. Finally, after how many episodes, we are getting a rematch between Pikachu and Tapu Koko. Also, Zeraora is appearing in the anime as well? Heck yes! I’m so excited for this episode. After seeing the summary i cannot help but have a fantasy match between tapu koko vs zeraora, who will win? "Walls were built not to save humanity but to prevent titans to be wiped out by Levi"
Well now that I think of it, @Akkipeddi is right. This Zeraora is probably the Zeraora Pikachu is shown going up against in opening. The Zeraora in the opening isn't a M21 reference most likely as it seems now, Zeraora is likely gonna be Pikachu's rival (in the opening Rowlet and Torracat go up against their rivals, Dusk Lycanroc also seemingly goes up against its rival in Gladion's Midnight Lycanroc, and then Pikachu goes up against Zeraora). Plus, the summary also heavily indicates that the Zeraora has a trainer too, which further supports the point. I have a strong feeling that the dude mentioned in the summary who seems to be Zeraora's trainer is gonna be the potential dream crusher for Ash in the Alolan League. That makes a lot of sense. After Tobias, I wouldn’t put it past the writers to have Ash lose the league to a trainer that has legendaries. At least he is making his debut now, instead of at the Alola League. At least he would then have a chance of beating gladion and his silvally this way unlike the trolling they did in XY with alain, i would take tobias like trainer anyday, atleast it would make ash look good.Besides SM ash don't have many powerhouses so that trainer doesn't need to have multiple legendaries. Inb4 this trainer blitzes Ash with Zeraora and Melmetal as well. At least he would then have a chance of beating gladion and his silvally this way unlike the tolling they did in XY with alain, i would take tobias like trainer anyday, atleast it would make ash look good.Besides SM ash don't have many powerhouses so that trainer doesn't need to have multiple legendaries. If this trainer turns out to be the dream crusher, then that means he's the Alain of this series. Gladion looks all tough, but I always expected Ash to beat him in the league, since he's the primary rival of this series, and Ash always beats his primary rivals. Charizard vs Reshiram was a good battle! Opening was nice telling us that! JC317, Darkrai 888, Kawaii Emolga and 1 other person like this. Yeah it was such a great battle that no one saw that ever happening, or it was finished in an instant. Dragalge and 04n70n10 like this. So, Tobias' little brother has a Zeraora then, LOL. Darkrai 888, Henry's Journey, Genaller and 1 other person like this. Yeah, I think it's being done better than Tobias, because Tobias appeared in the Sinnoh League out of absolutely nowhere as a dream crusher so it felt like a cop-out. It's always better to have the OP dream crushers appear once/twice so that they don't feel like much of cop out. Well with this dude being the potential dream crusher in the League I could definitely see Ash beating Gladion and his Silvally. Obviously way better than making Ash lose pretty much everytime against Alain by seemingly developing a rivalry against him and making it seem like as if Ash would finally beat Alain someday. That's what leads to an enormous outburst of salt like how it was after the Kalos League. Screencap that, so you will have a proof when the league comes. Also, since pikachu it's fighting it in the OP, it's possible... except OPs are known for be very, very misleading. Yeah he was clearly frustrated with Pikachu, and sent Charizard to finish the job, the change in his voice tone indicates that. "Why can't I get rid of this stupid yellow rat?"